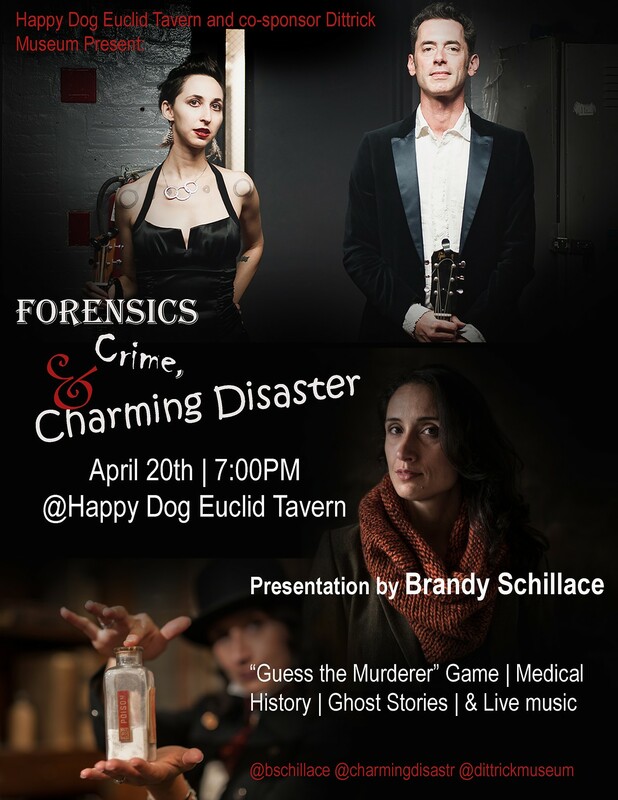 Brooklyn-based folk-noir duo Charming Disaster will perform at "Forensics, Crime & Charming Disaster" on April 20, bringing their playfully macabre duets about love, death, true crime, and the supernatural to the Happy Dog Euclid Tavern in Cleveland. 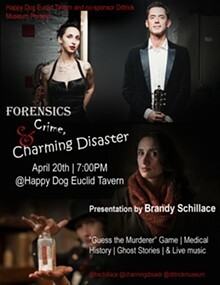 The evening also features historian and author Brandy Schillace of the Dittrick Medical History Center, presenting on forensics and Cleveland's riotous pre- and post-prohibition years. Brandy Schillace's books have been featured in The New York Times, the New Yorker, and Science Magazine, and she has appeared on the Travel Channel’s "Mysteries at the Museum," bringing the strange stories of history to life.